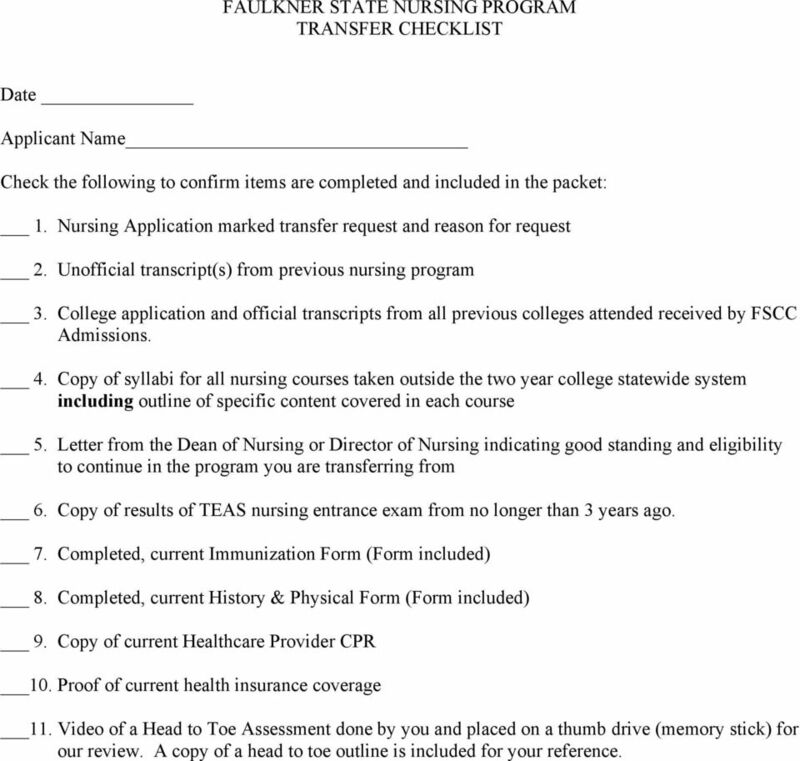 Download "Dear Potential Transfer Student,"
2 FAULKNER STATE NURSING PROGRAM TRANSFER CHECKLIST Date Applicant Name Check the following to confirm items are completed and included in the packet: 1. 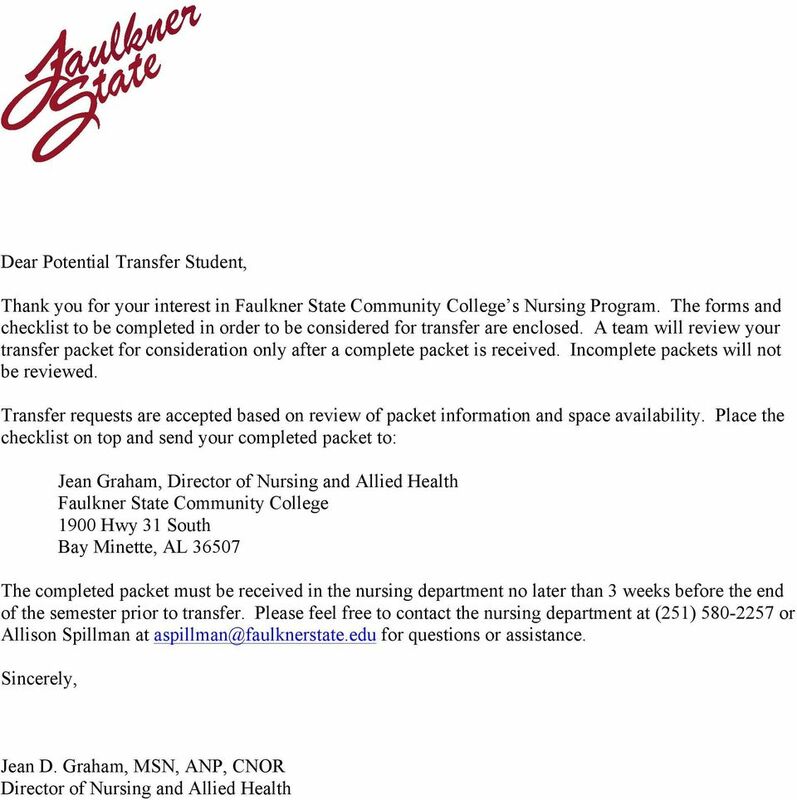 Nursing Application marked transfer request and reason for request 2. 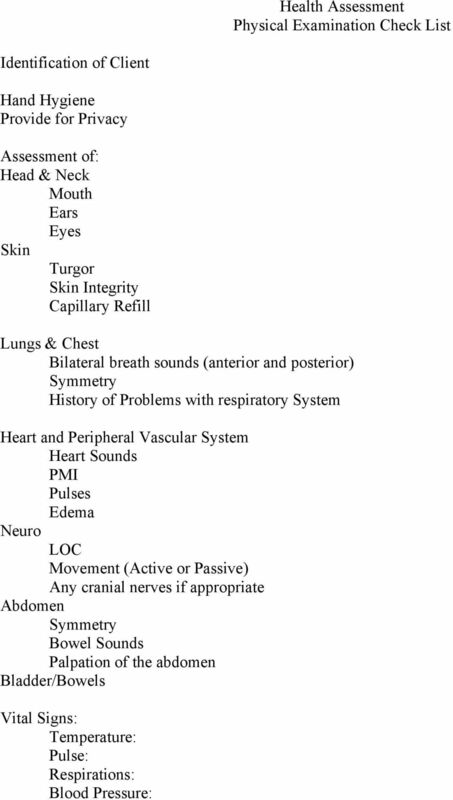 Unofficial transcript(s) from previous nursing program 3. College application and official transcripts from all previous colleges attended received by FSCC Admissions. 4. 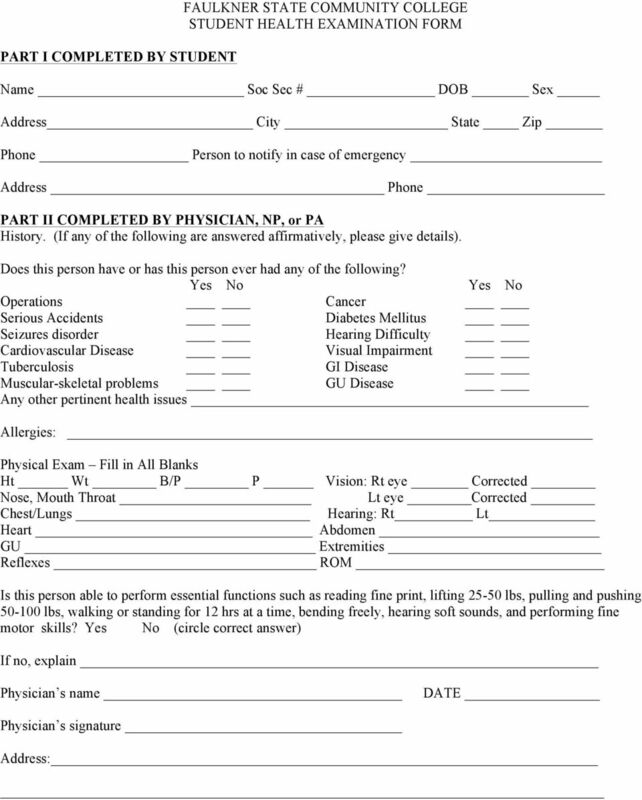 Copy of syllabi for all nursing courses taken outside the two year college statewide system including outline of specific content covered in each course 5. 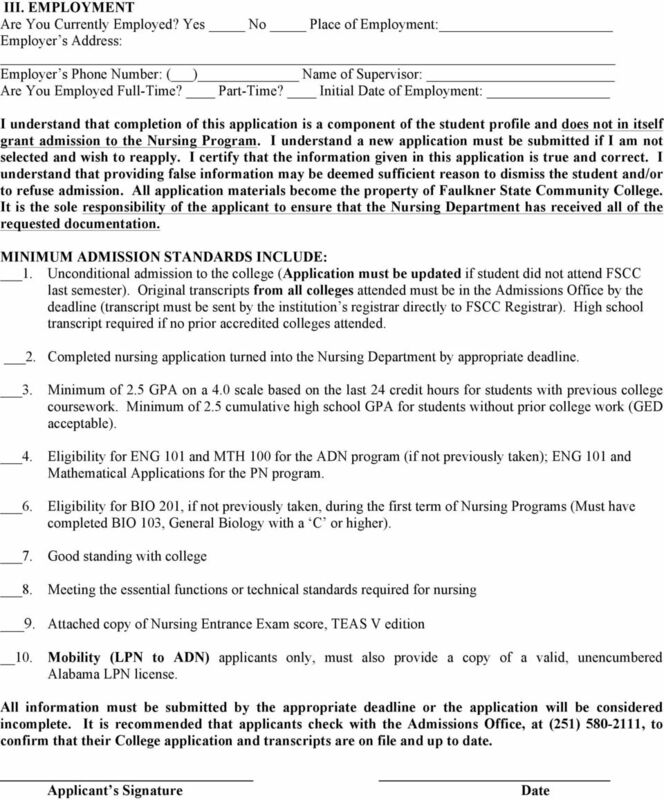 Letter from the Dean of Nursing or Director of Nursing indicating good standing and eligibility to continue in the program you are transferring from 6. Copy of results of TEAS nursing entrance exam from no longer than 3 years ago. 7. 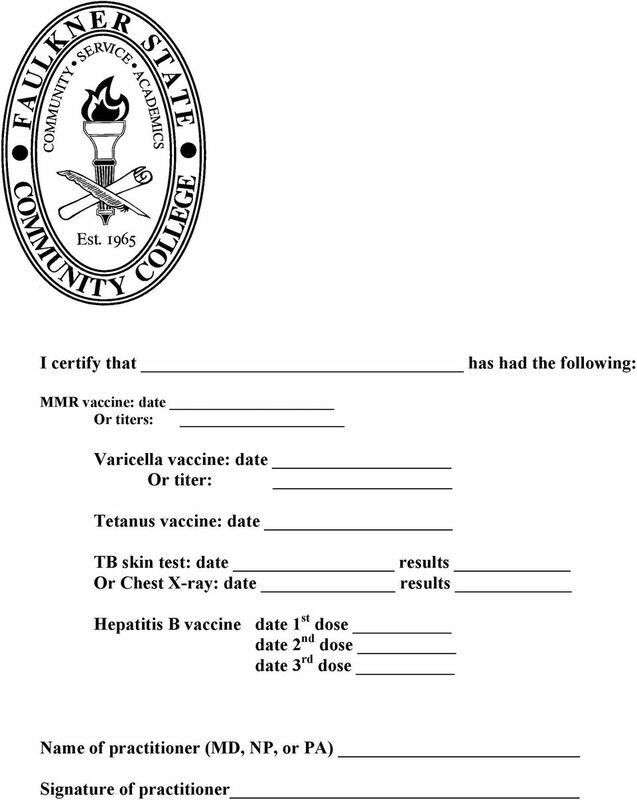 Completed, current Immunization Form (Form included) 8. Completed, current History & Physical Form (Form included) 9. Copy of current Healthcare Provider CPR 10. Proof of current health insurance coverage 11. Video of a Head to Toe Assessment done by you and placed on a thumb drive (memory stick) for our review. A copy of a head to toe outline is included for your reference. 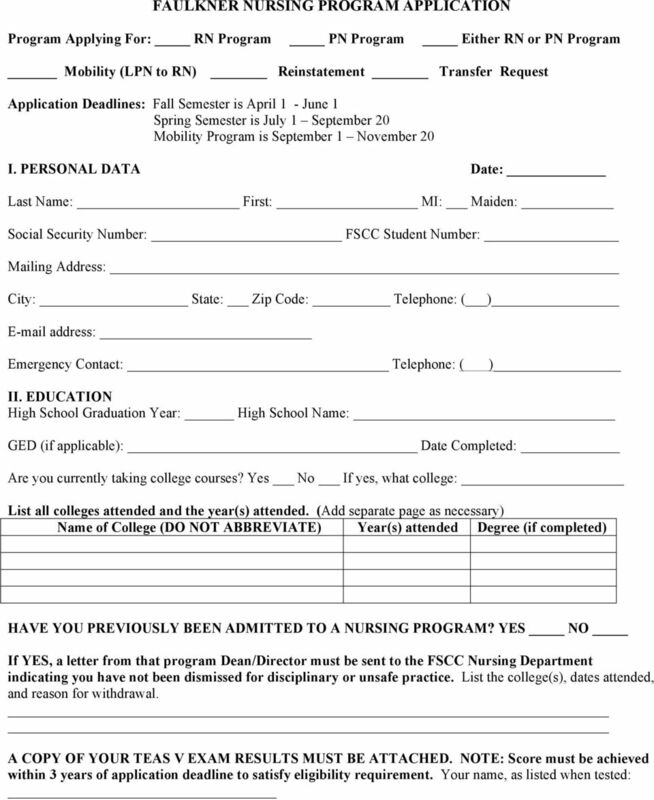 APPLICATION FOR DENTAL ASSISTING FALL 2016 COMPLETE APPLICATION PACKAGE MUST BE SUBMITTED BY JULY 1. Address. City State Zip Code. MSU Bachelor of Science in Nursing Completion (BSN-C) Crowder Scholars Program.